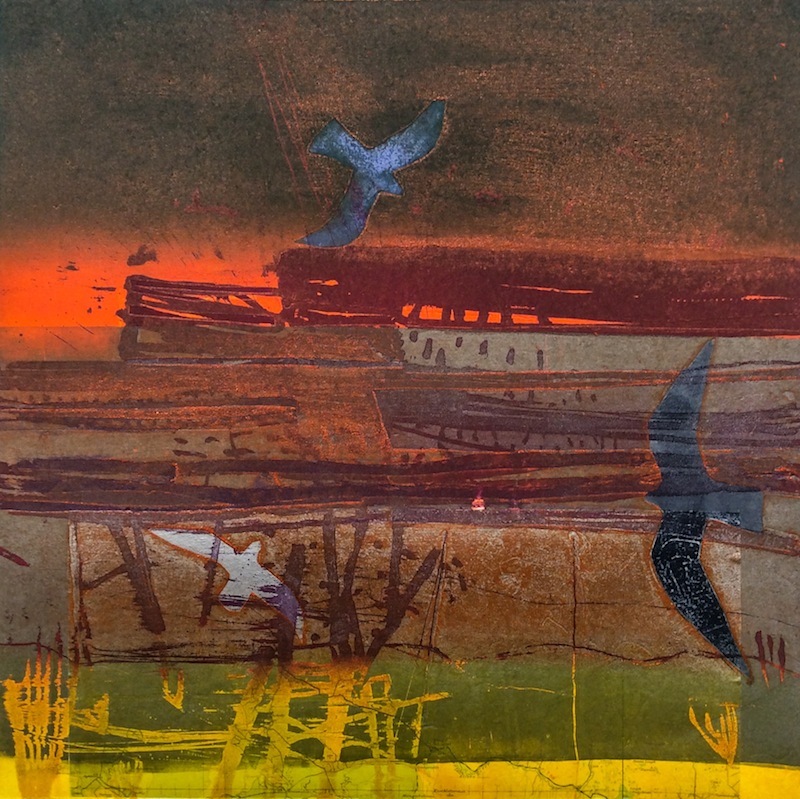 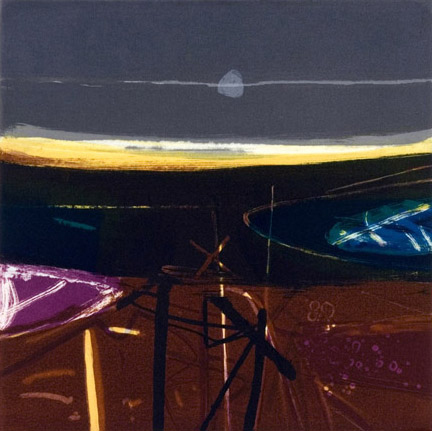 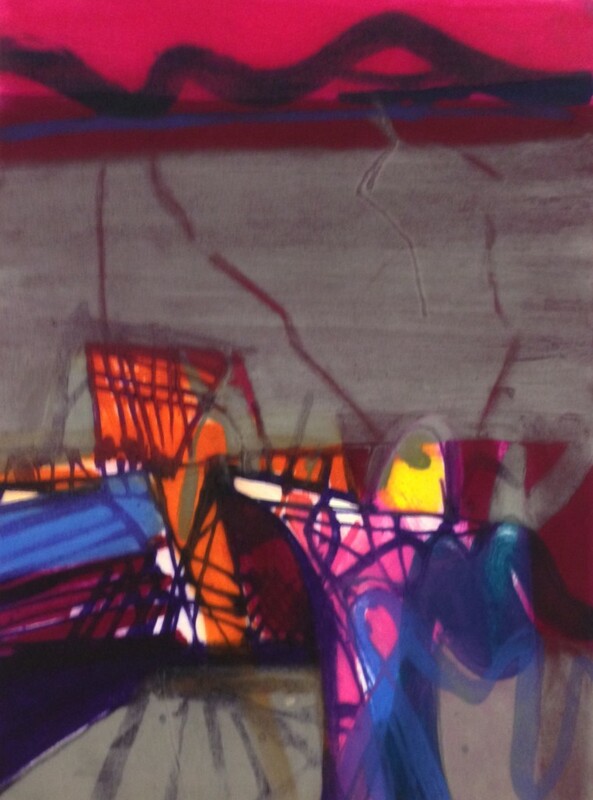 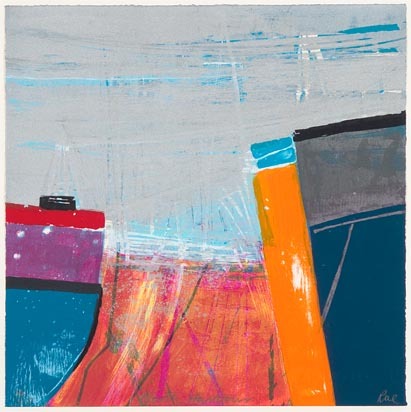 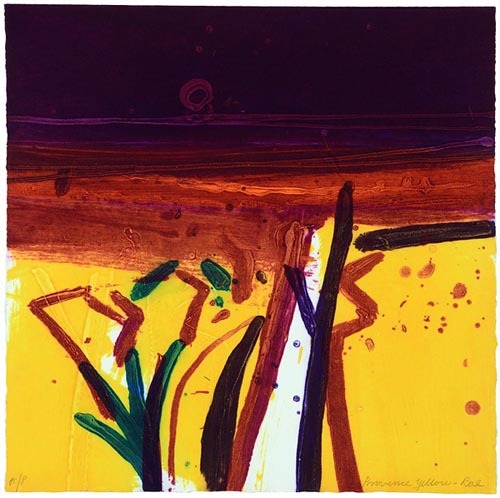 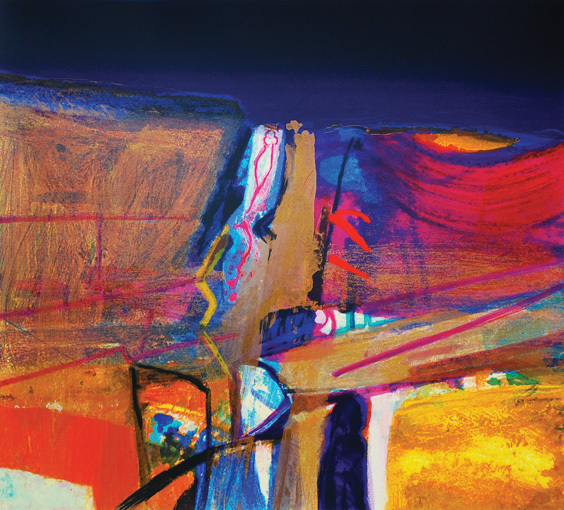 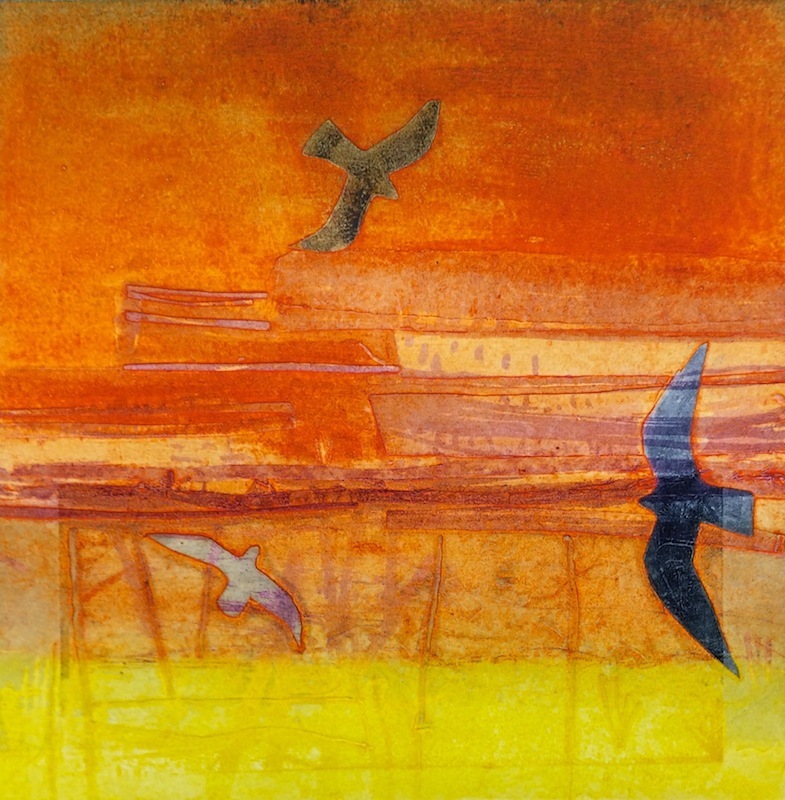 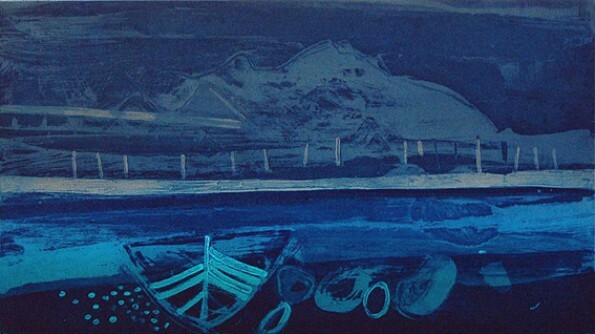 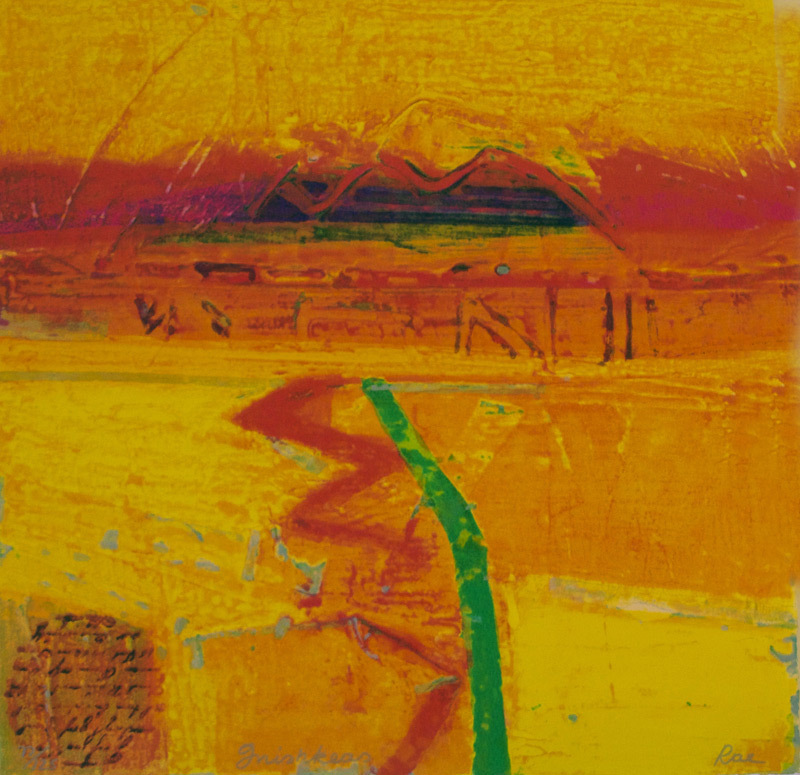 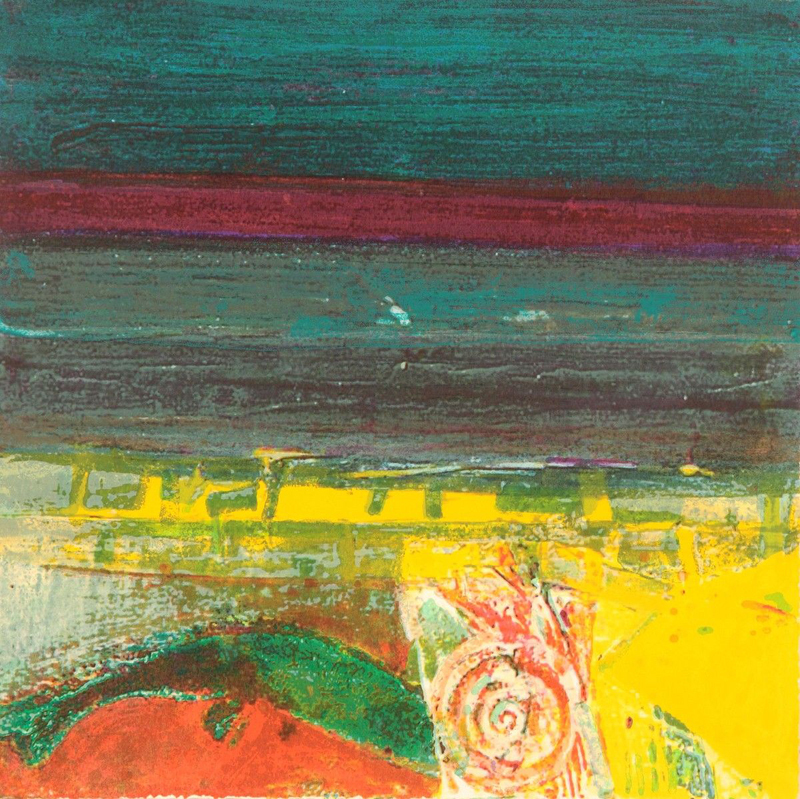 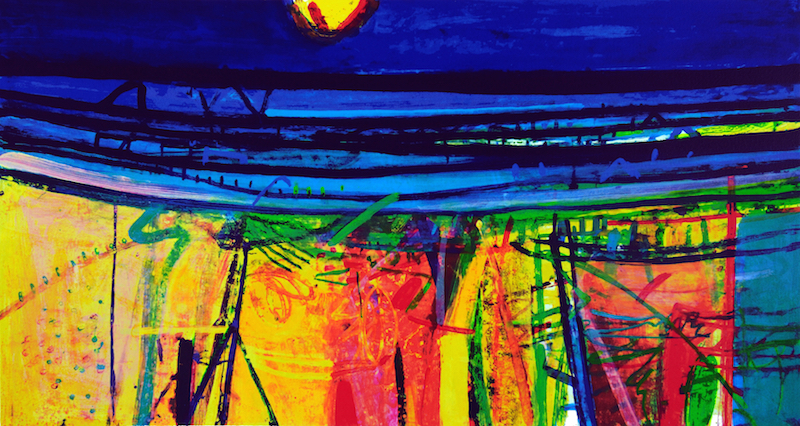 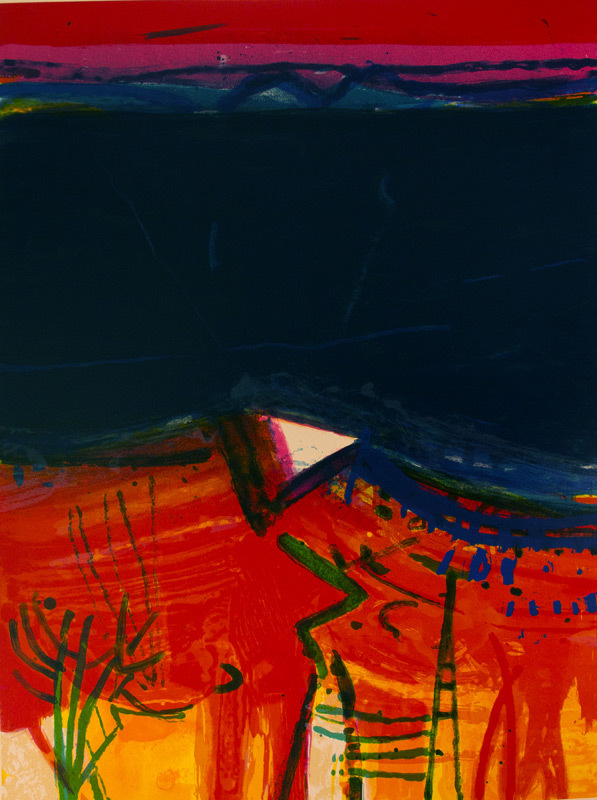 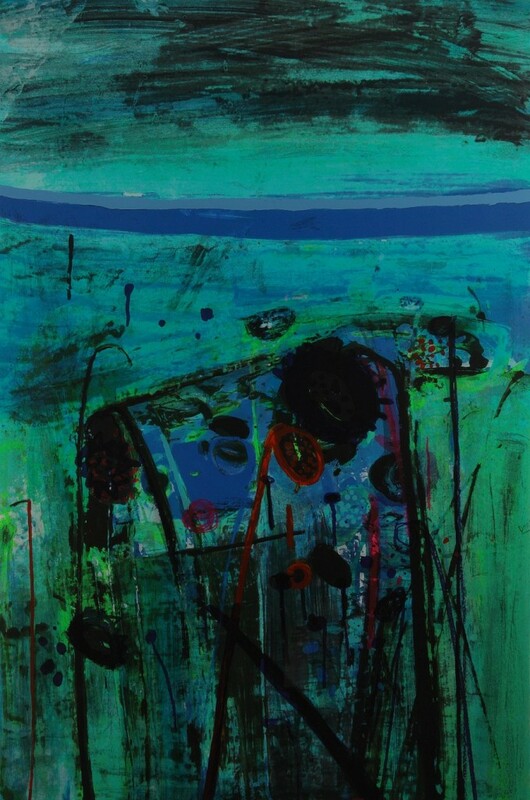 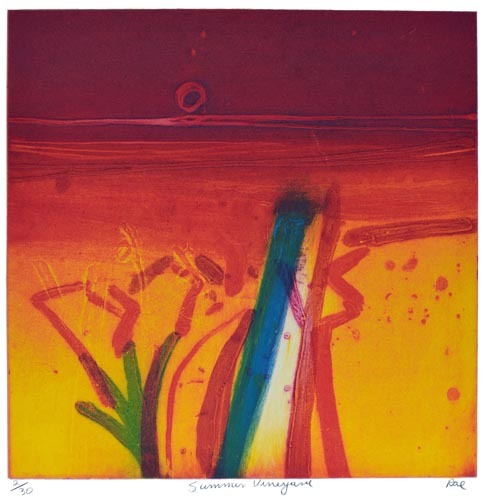 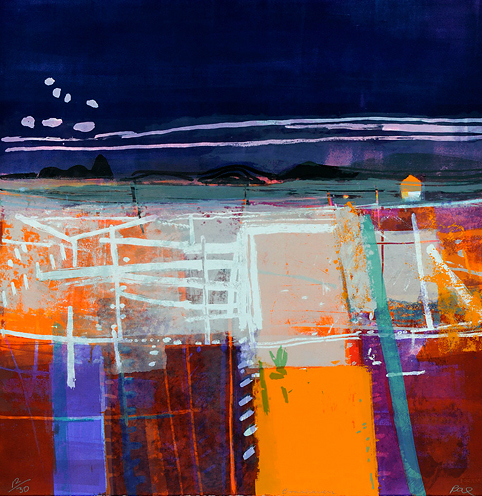 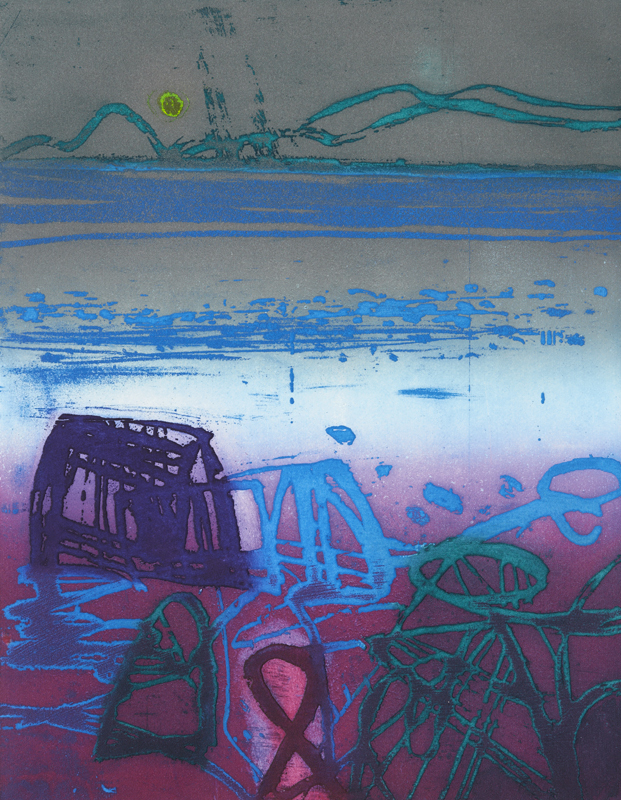 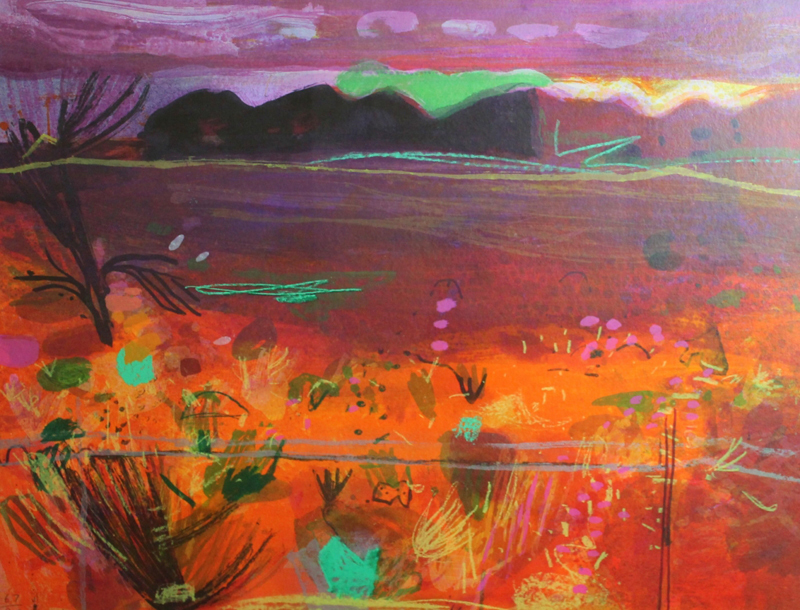 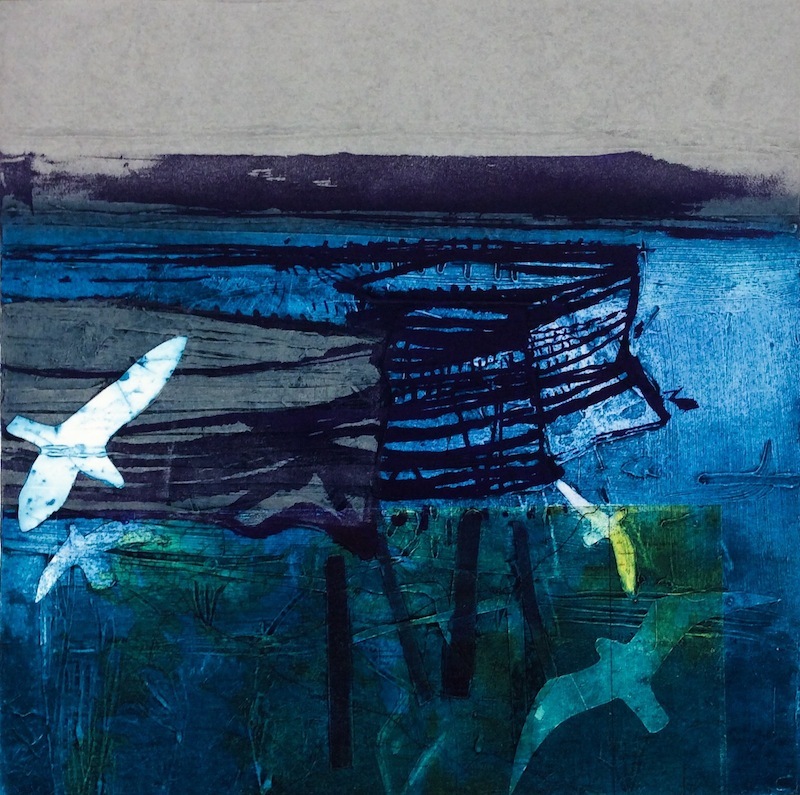 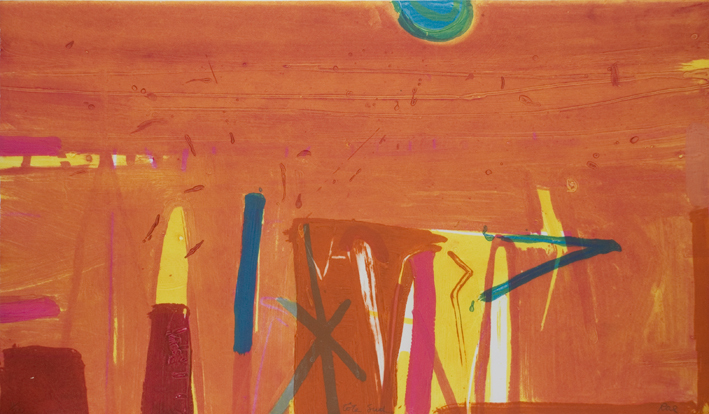 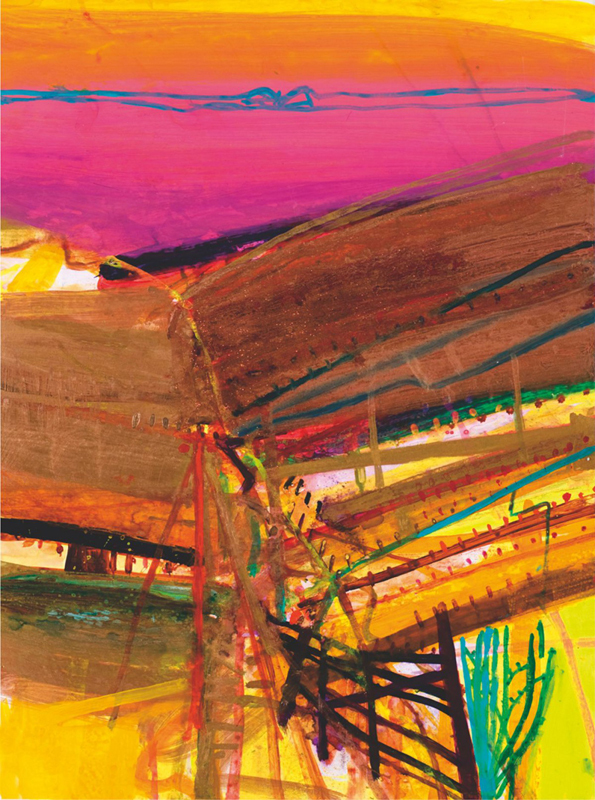 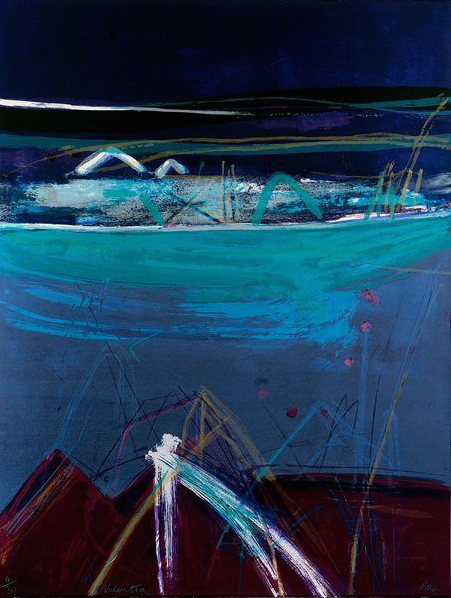 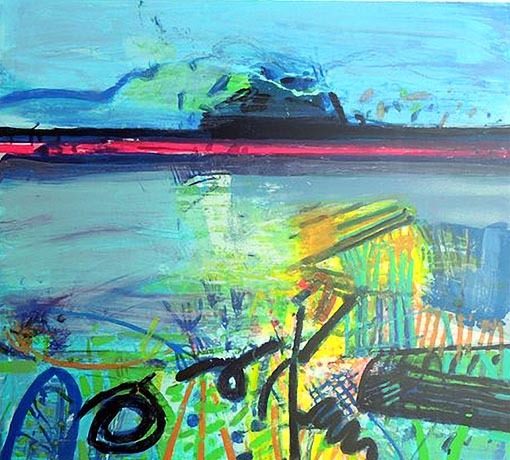 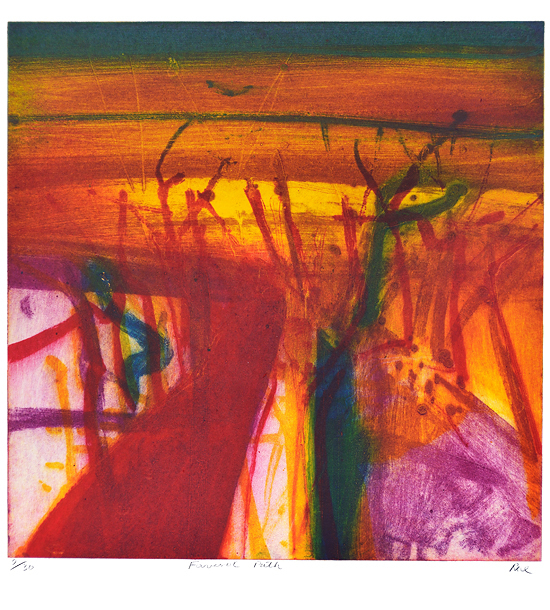 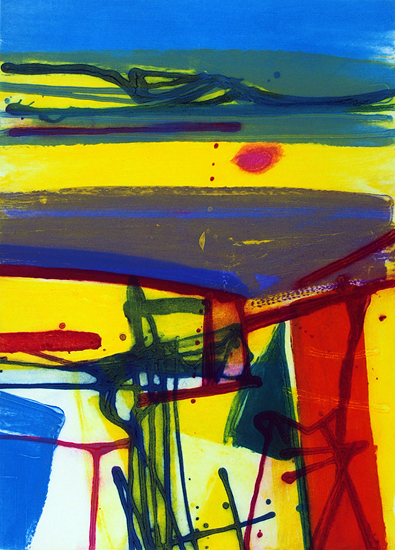 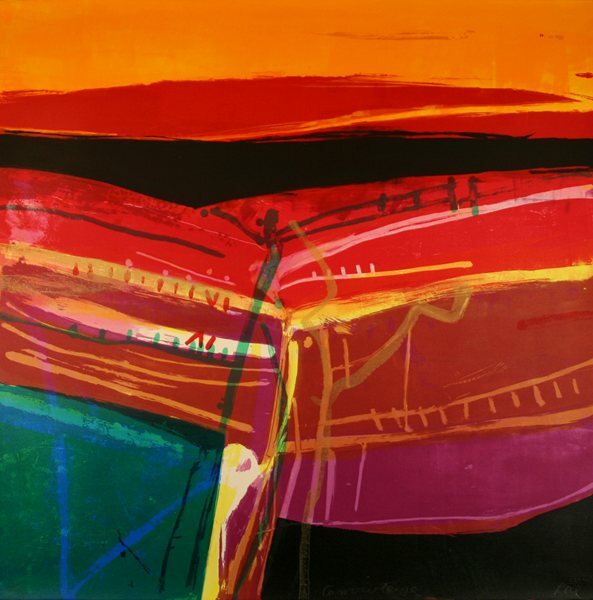 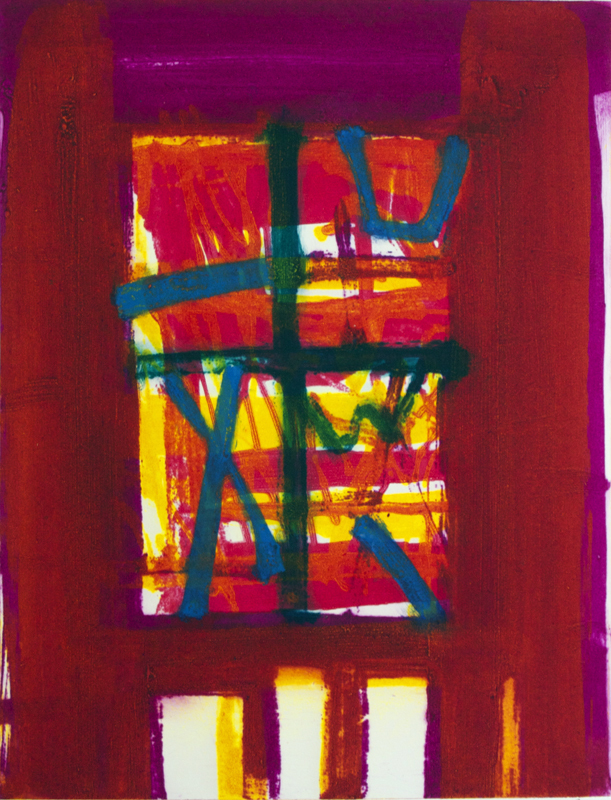 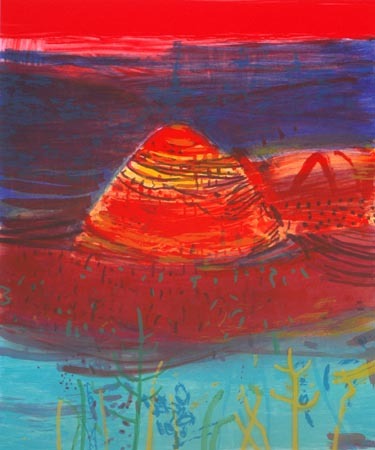 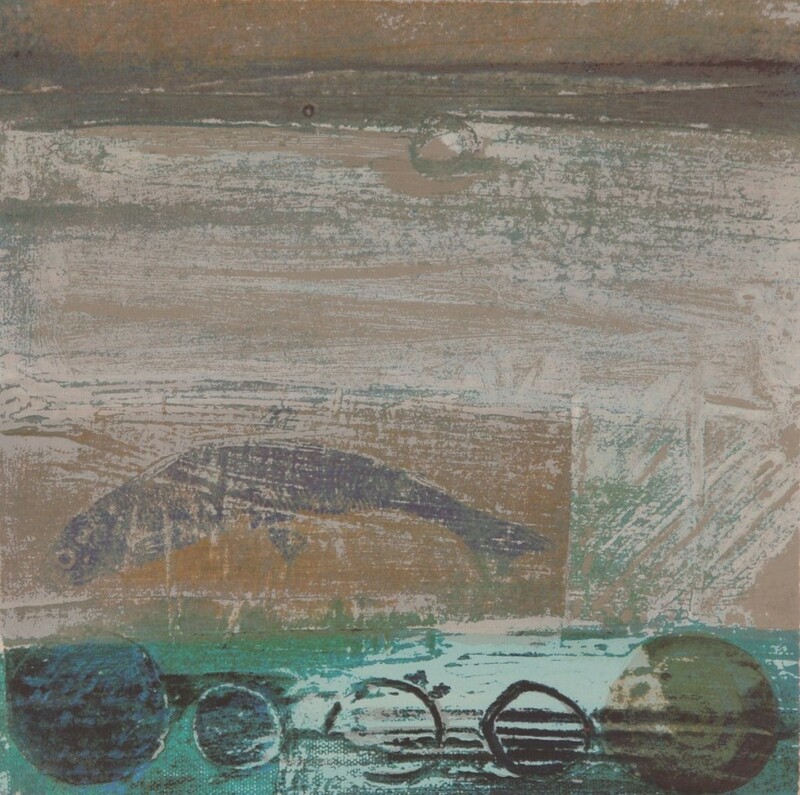 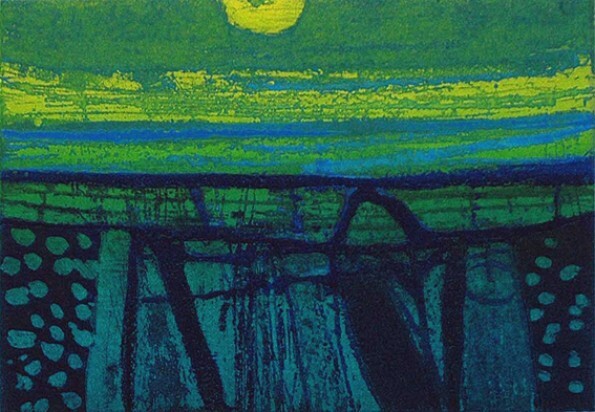 Barbara Rae CBE RA RE RSA RSW RGI FRCA FRSE, Royal Academician painter and printmaker, was born in Falkirk, Scotland. 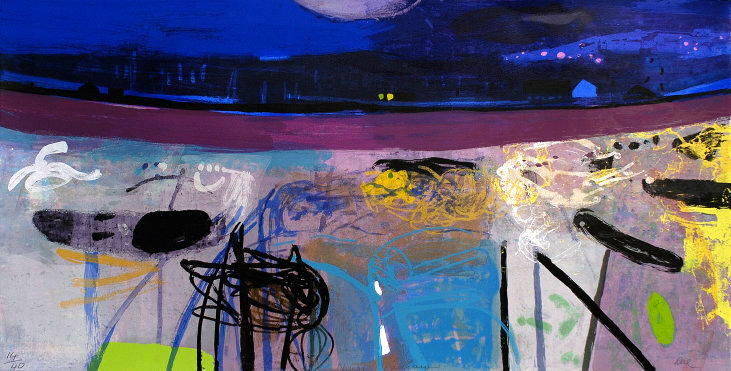 She trained at Edinburgh’s College of Art and for some years lectured at Charles Rennie Macintosh’s illustrious School of Art in Glasgow. 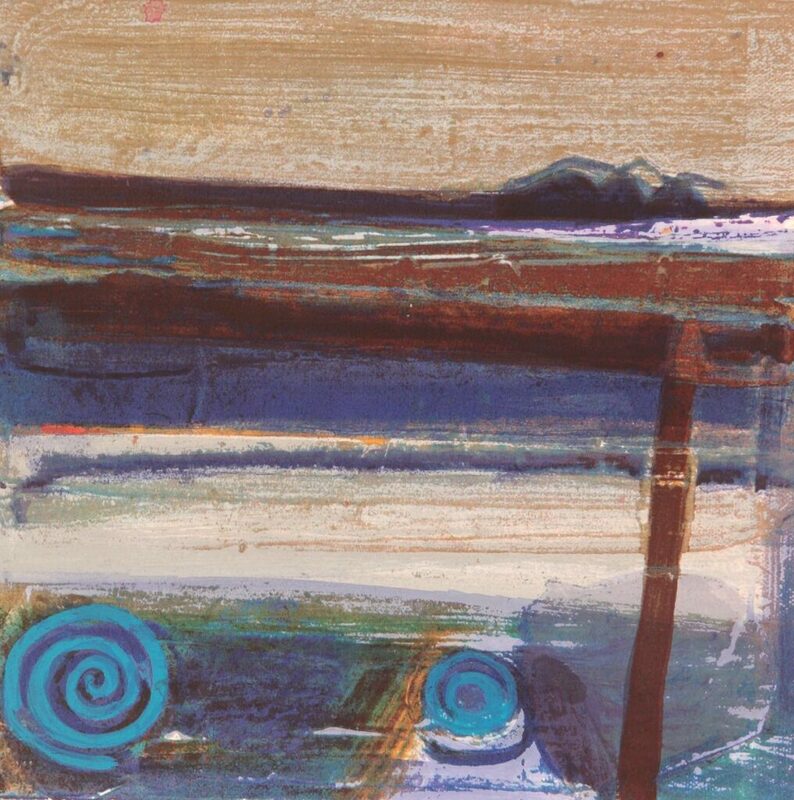 Recipient of numerous awards, scholarships, and honorary degrees, she arrived at art school her creative voice almost fully formed. 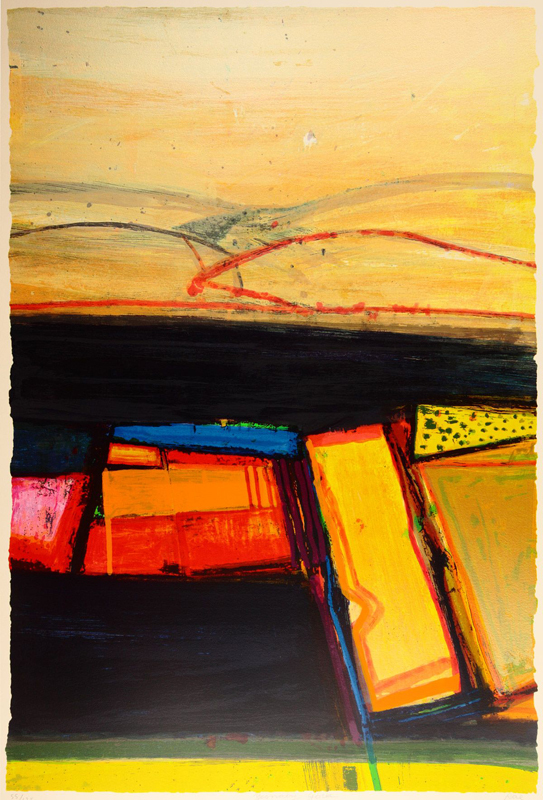 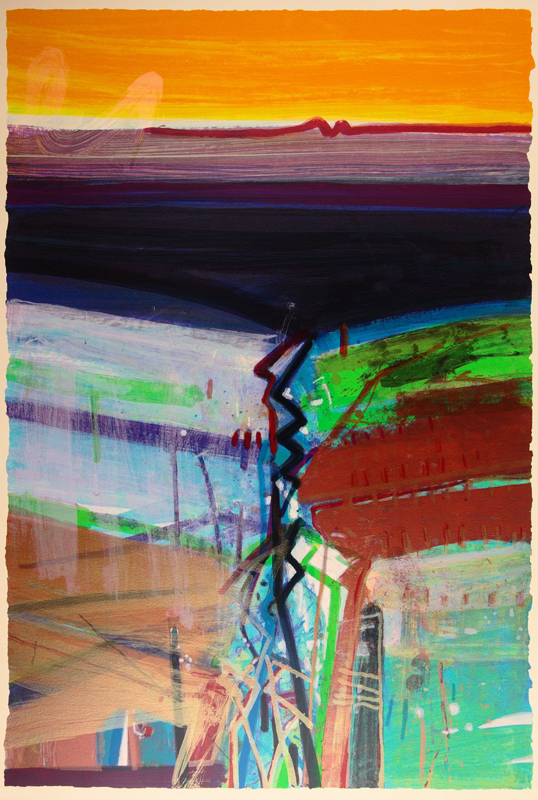 No artists influenced her but she has her own favourites such as the Spanish Tàpies, and American Diebenkorn. 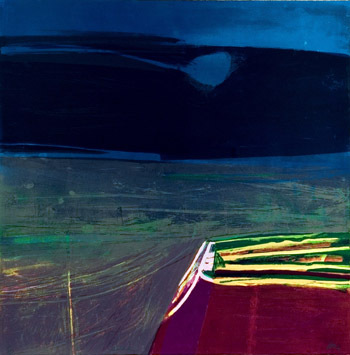 Considered an outstanding colourist, with portraits to her credit, an acclaimed master printmaker, her subject matter is usually images of socio-political history weathered by time and fortune: an ancient Celtic standing stone, a rickle of an Irish farmhouse fallen into disuse in famine wracked west of Ireland, ancient Anasazi rock art in the remotest parts of the Arizona desert, to sun blasted vines terraced on a Spanish hillside, any pattern and structure in the background a dividend enriching the composition. 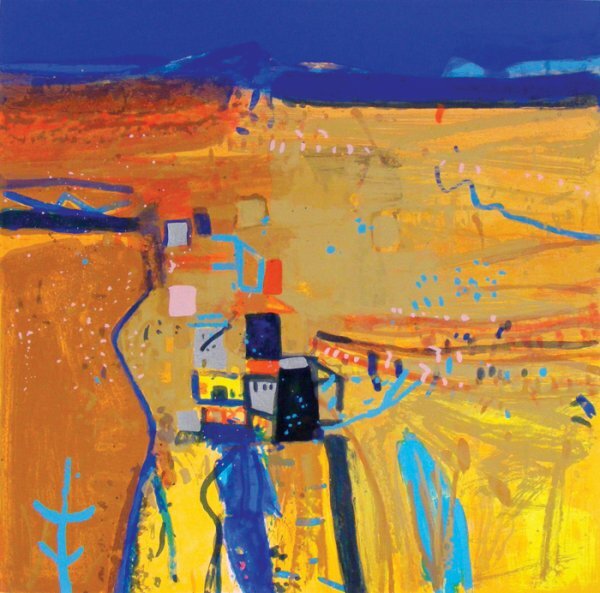 Rae travels the world in search of inspiration, spending weeks meeting the people in her chosen location, researching local history, and surveying topography, all before opening her sketchbook; finally reworking the studies as prints or paintings in her Edinburgh studio. 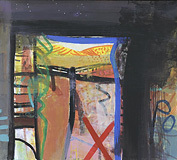 Her work is exhibited in national museums, and public and private collections the world over, enjoyed by British charities and hospitals too. 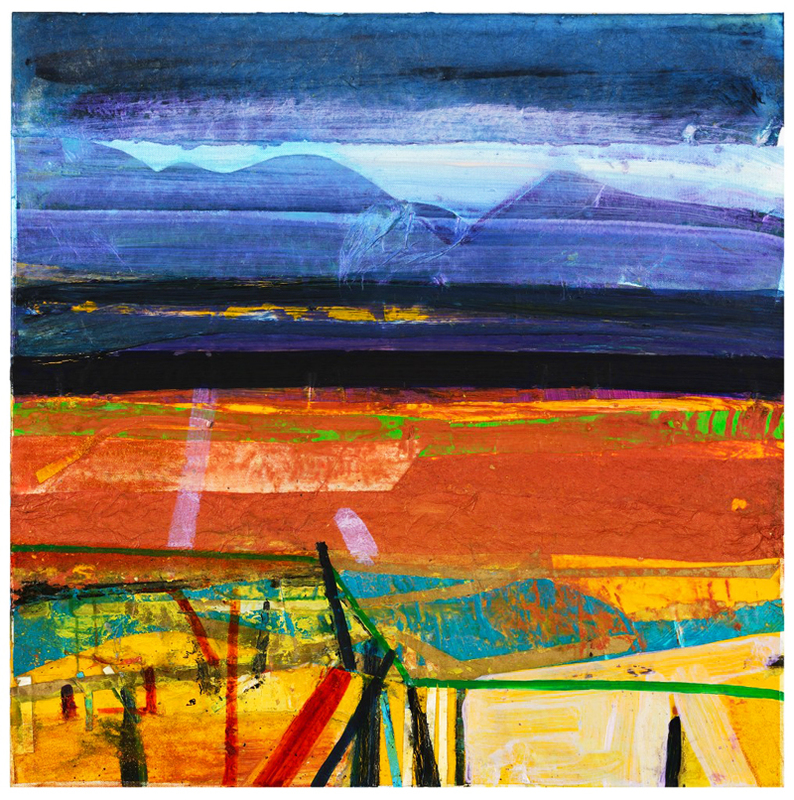 Solo exhibitions run from Edinburgh, often during the International Festival of Arts, to New York, from Dublin to Oslo, from Chicago to New Mexico, and to Mexico itself. 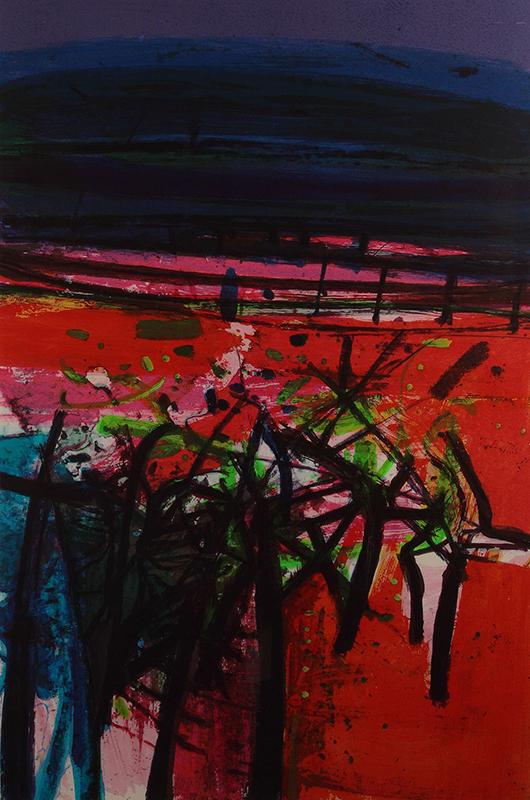 Definitive books on her work are: Barbara Rae – Major Work; Barbara Rae – Prints; and Barbara Rae – Sketchbooks. 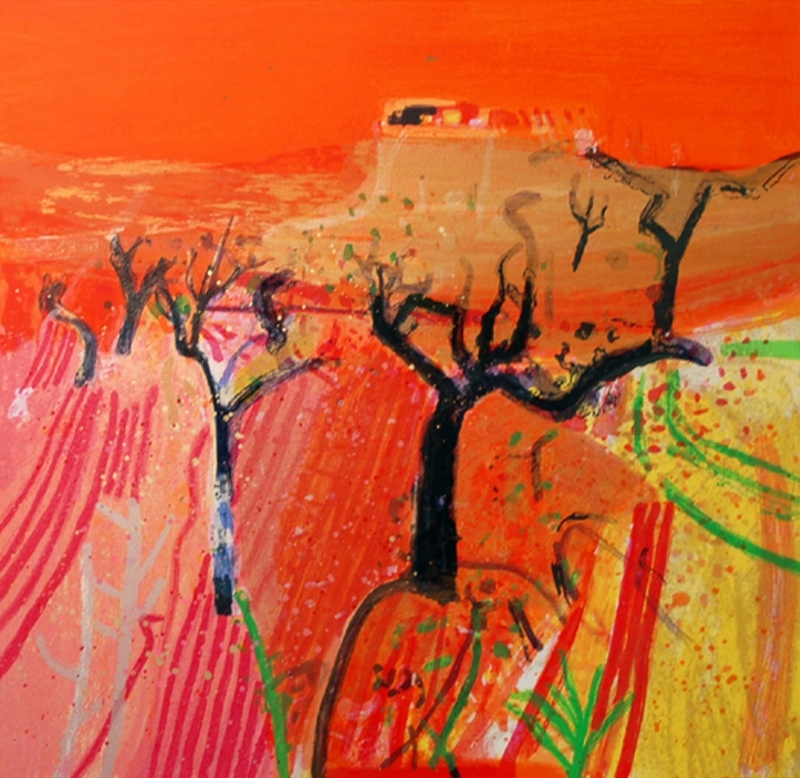 The last two books are published by the Royal Academy of Arts, London, the first by Lund Humphries.